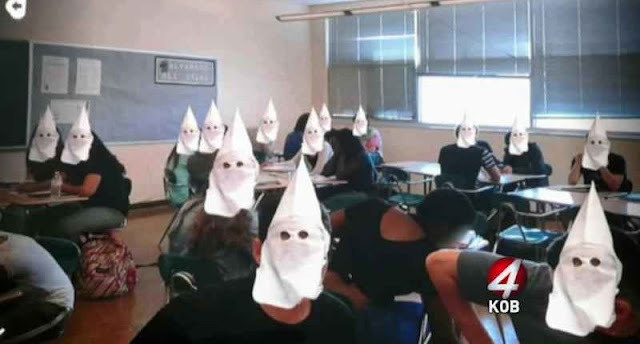 Two high school students in Albuquerque, New Mexico, have been suspended after they posted a photoshopped picture of a black classmate surrounded by Ku Klux Klan hoods on Snapchat. Local news station KOB 4 reports that the students posted the photo on the school’s official Snapchat group, where it was seen by several other students before being removed. The two students, who claimed that they only posted the photo as a “joke,” were suspended from school for ten days. Additionally, one of the students was kicked off the high school football team. Watch a video report on the incident below.